Everyone is invited to a program celebrating the composer Verdi to be held on Thursday, Oct. 24 at 7 p.m. in the Dolan Auditorium. The program examines aspects of Verdi’s life and personality, with colorful projected images illustrating the many political, literary, and musical influences on him, and in turn by him on others in his era. The program will also feature live performances of opera excerpts. Everyone is invited to attend this stimulating lecture that will celebrate this year’s bicentennial of Giuseppe Verdi’s birth and the Verdi Opera Theatre of Michigan’s 25th anniversary of its foundation. 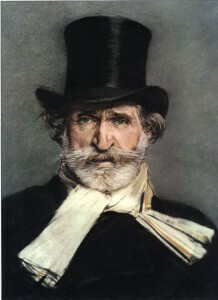 In view of the designation of 2013 as The Year of Italian Culture in the USA, this program will delight anyone wanting to know more about Giuseppe Verdi and his operas and the fascinating cultural movement that developed in the Italian artistic and intellectual community of Verdi’s time. In conjunction with the presentation there will also be an exhibit of rare opera posters and other attractive opera memorabilia. A reception and exhibition will follow the presentation.